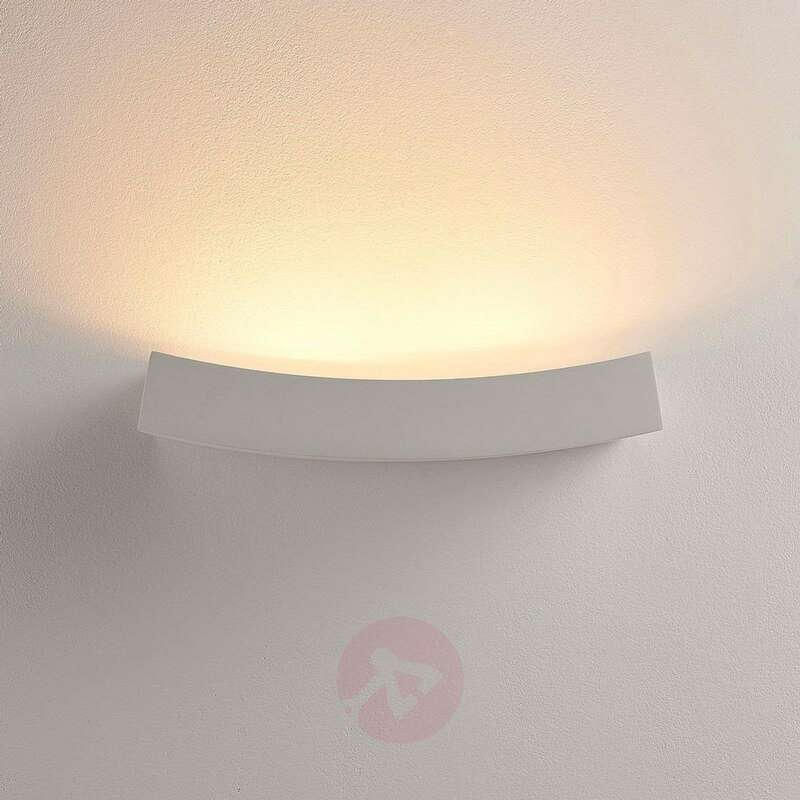 Tiara comes with a slightly curved shape and features a G9 bulb that shines only upwards, as is traditional for a wall uplighter. 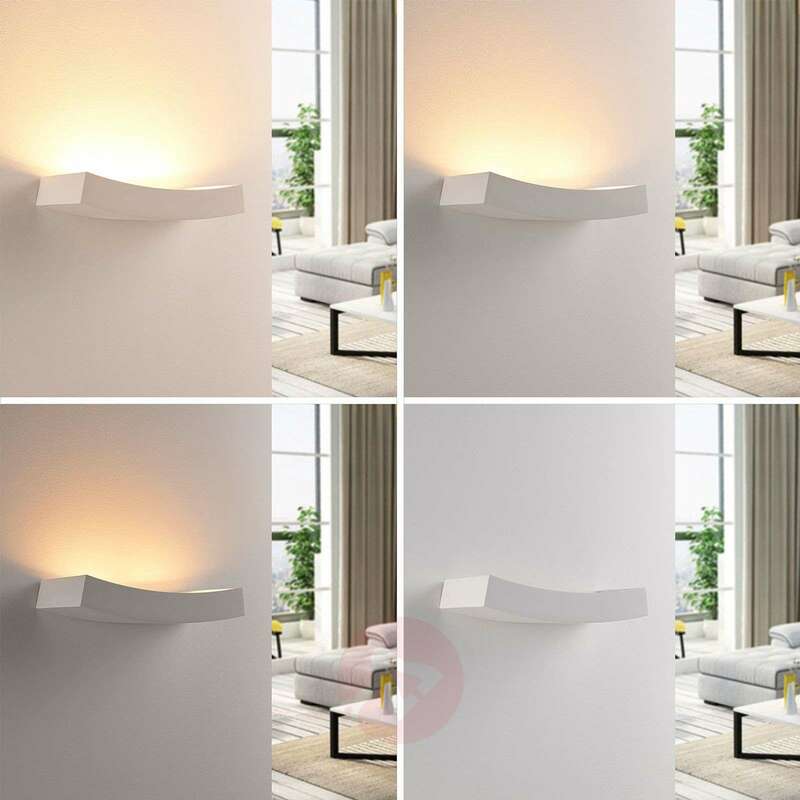 The result is extremely cosy lighting with a soft, scattered light effect to create a warm ambience in the room. 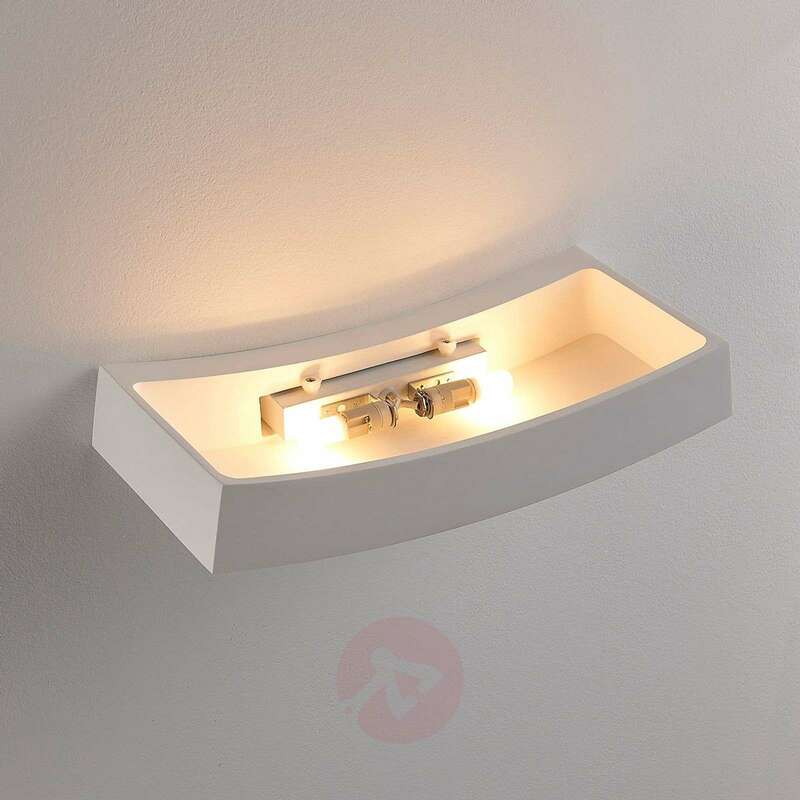 It is perfect for cosy evenings or for enhancing a hallway with pleasant lighting. 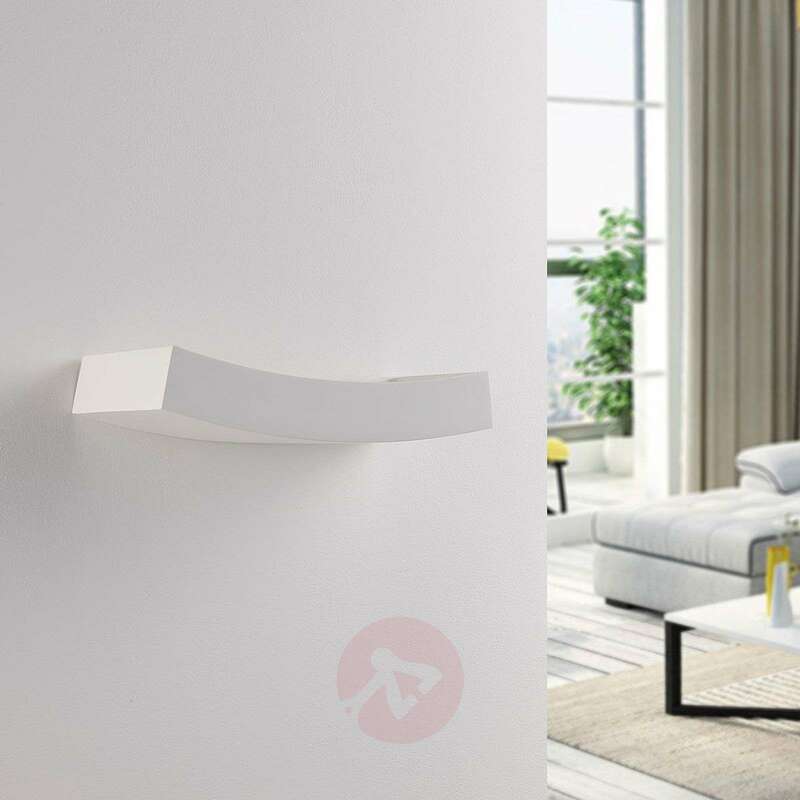 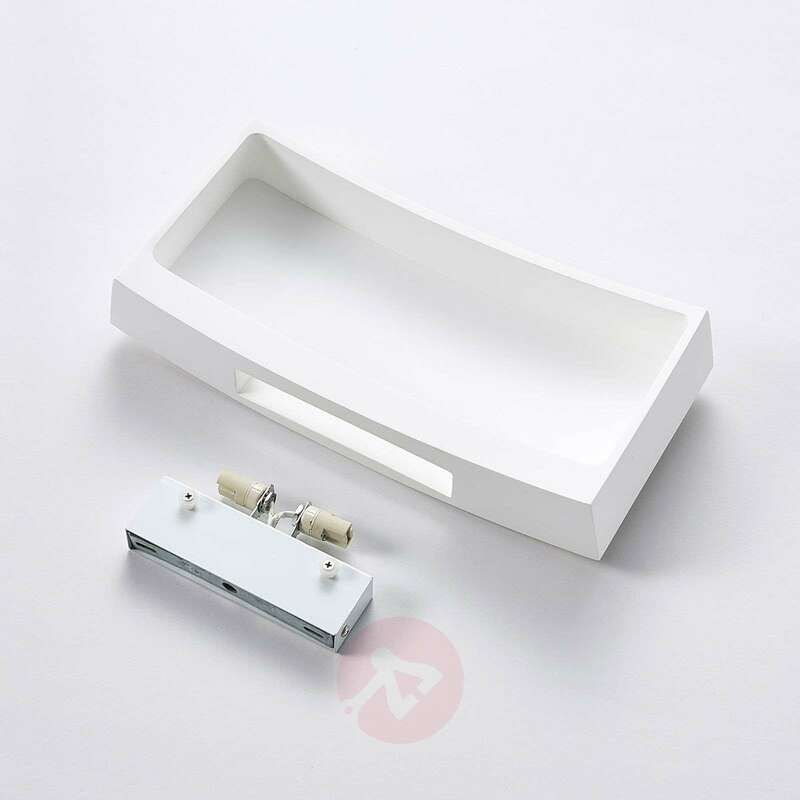 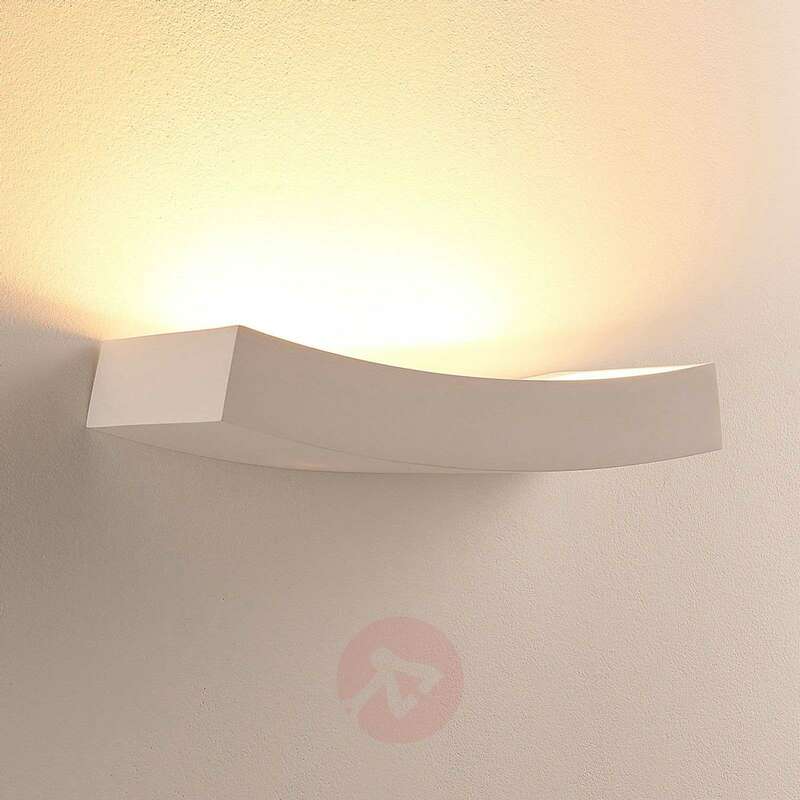 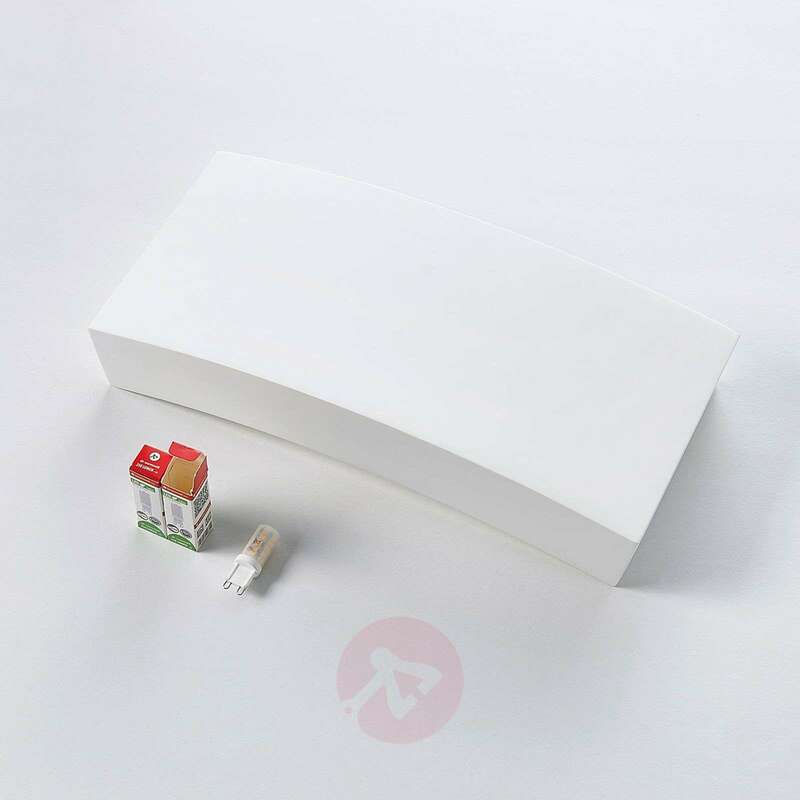 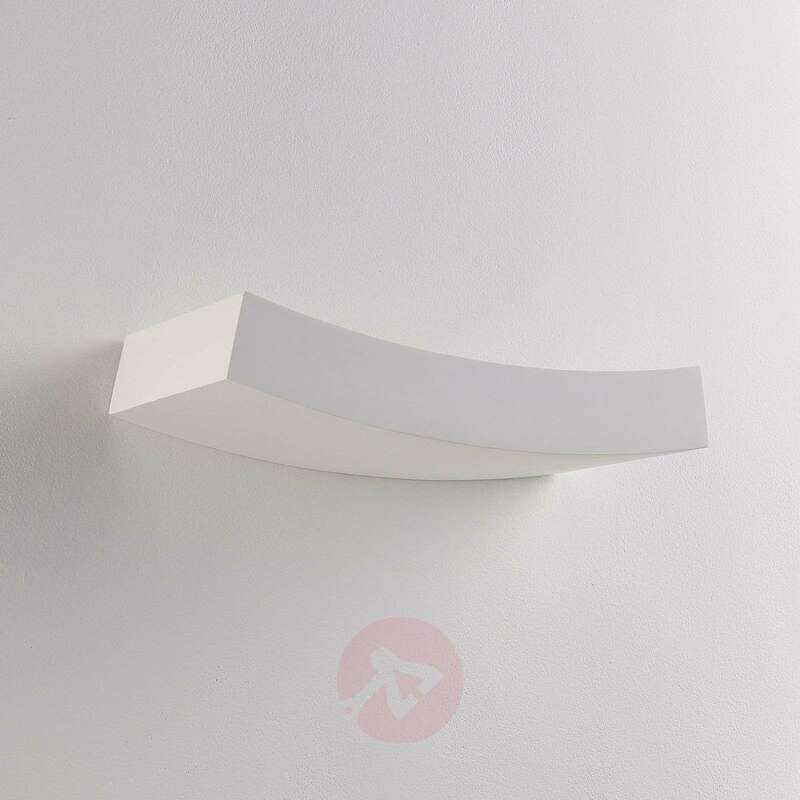 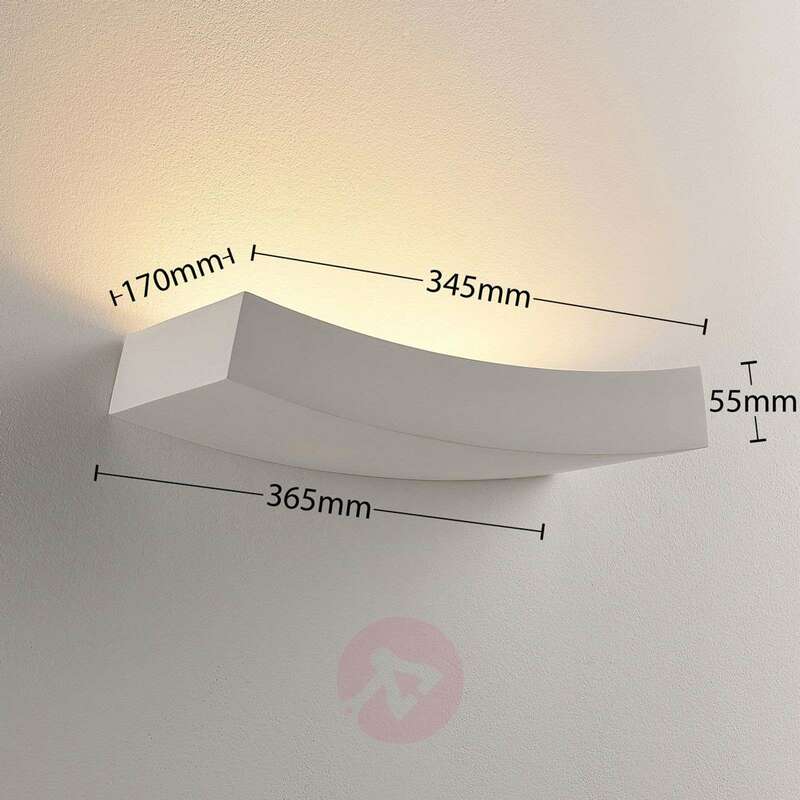 You can paint the white plaster surface of the wall light if you like as the material can be painted.